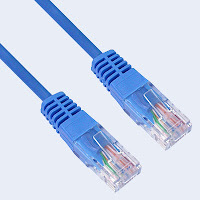 Transfer data between two computers without networking if you want to connect only two computers be it laptop or desktop machine. Note: On Dell desktops\laptops straight cable might also work. Connect one end of the cable to one desktop machine and other end to another machine, this could by either your laptop or desktop. If both machine does not take automatically APIPA IP Addresses then manual configure IP Address in both machines network card, please follow below steps to configure IP Address and Subnet Mask. - Go to Control Panel > Network Connections > Select 'Local Area Connection'. - Click 'Change settings of this connection' in left hand side. - Scroll down and select 'Internet Protocol (TCP/IP) and click Properties. Leave other options as it is and click OK, OK.
- These steps are recorded from Windows XP SP3 machine and may wary if you have different operating system. - Make sure both your machine password set. - Also, make sure you have shared folder created on both machine or either on one from which you want to share data.